Is it cheaper to have dental implants abroad? No doubt almost everyone has seen the big advertisements in the newspapers. The ones that promote travelling abroad for dental implant treatment at what seem to be hugely attractive low prices. At first sight they appear to be the ideal way to replace missing or damaged teeth with permanent dental implants, but please be careful, because that ultra-low dental implant cost may not be as sparkling as it first appears. There’s an old saying that goes: “You only get what you pay for,” and in our experience it has never been more true, especially when you apply it to the overseas’ dental implant cost. Most of the adverts we’ve seen are for Eastern European clinics and people we’ve spoken to have travelled to Hungary, Poland and more recently to Romania. While some patients are quite happy with the dental implant cost and the results, we have to say that we have also met many people who rue the day they were tempted to travel abroad in order to undergo dental implant treatment. Hidden behind that alluring low dental implant cost headline there can be unforeseen and unexpected expenses that can turn a money saving dental bargain into an expensive dental disaster. These additional expenses frequently involve extra flights and accommodation to that far flung dental practice. Especially if some unforeseen problem requires an unexpected and unbudgeted for visit to the clinic, remember it will not just be a short drive to your local dental clinic. Your journey will require you booking flights, taking out travel insurance, the cost and time involved in travelling to the airport, the flight itself, the journey from the overseas’ airport into the city… and most probably the expense of overnight accommodation. Suddenly the local dental clinic that specialises in dental implants seems to be far more convenient, trouble-free, hassle-free and massively less expensive. At Carisbrook we have seen many patients who have come to us having had dental implants abroad and found that they require additional work on treatment that hasn’t quite gone to plan. Whilst we do not really mind rectifying someone else’s poor work, the problem is that dentists abroad tend to use tools that are non-standard in the UK. Consequently we find that we cannot simply work on the implants without having to purchase and pass on the cost of expensive new tools. So immediately, that cheap dental implant cost has suddenly become an expensive mistake. We’re not saying that all dental work done overseas is sub-standard. Far from it. But if you are considering travelling abroad for dental implant treatment please do consider all the possibilities, all the problems that could go wrong, and all the additional trouble, upheaval and cost of long range dentistry that could be involved. Carisbrook Dental is one of the UK’s leading and most respected dental implant specialists. Such is our reputation that currently over 80 dentists in the North West of England refer their patients to us. 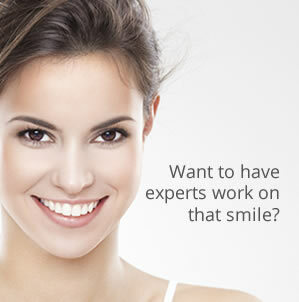 So if you would like us to provide a quote for dental implant treatment please do not hesitate to get in touch. Right now we are offering a FREE CONSULTATION so it could not be a better time to contact us. You can call us on 0161 951 7295 or alternatively you can contact us by using the online form on our Appointments page.